Improve visibility, efficiency and communication between your field teams, operations and distribution centers with a single, cloud-based, mobile system for your distributors. StayinFront’s flexible software design accommodates both traditional and modern retail trade and helps streamline reporting and improve the accuracy, timing and delivery of the distributor data to your organization. Pre-built KPIs and interactive dashboards provide a 360° view of your channel sales operations, enabling you to spot trends at product and customer-level, maximize channel sales, optimize operations and reduce costs. Pre-built KPIs and interactive dashboards provide a 360° view of channel sales operations. Spot trends at customer and product level. 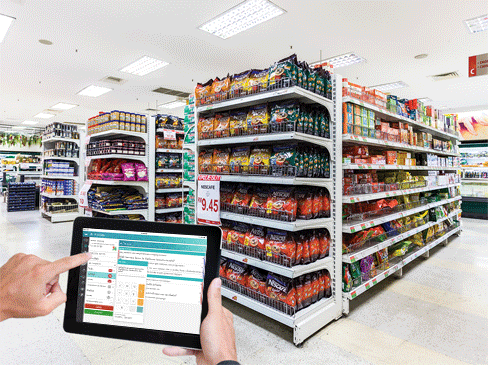 Using StayinFront TouchCG, distributors can conduct a range of activities including merchandising, order entry and in-store selling right on their mobile device. All activity and orders are directly sent to the home office, providing real-time visibility into orders, inventory, returns, payments and promotional compliance.